We think apprenticeships are a great opportunity to learn and develop and gain highly recognised qualifications whilst earning a wage! In 2017 we launched our Up! Management development program which is a Level 3 apprenticeship for our rising star managers across Brewhouse and Kitchen. The program develops our learners in HR, Project Management, Finance and Operations whilst developing key leaderships skills. This program has been a lot of hard work, and at times stressful, but we can really see how our Up candidates have grown over this time and some have taken the next step in their careers already. Yes Chef; This is a level 2 commis chef apprenticeship. You will learn some amazing culinary skills, and attend workshops in Fish mongering, Butchery, Cooking with beer, Bread and Pastry making. The program is 12-14 months in total, and you will have the opportunity to cook speciality dishes on our specials menu and take part in cooking for some of our company events like the Brewball (yes you will join for a beer after). Plate Up! : This program is for our Sous Chefs who aspire to reach a Head Chef position within 12 months. On this program you will learn leadership skills, communication skills, our ethos behind food development and financial acumen. CRAFT. This is a level 2 apprenticeship for our front of house teams. This apprenticeship will take you through all the areas FOH developing you into our managers of the future. 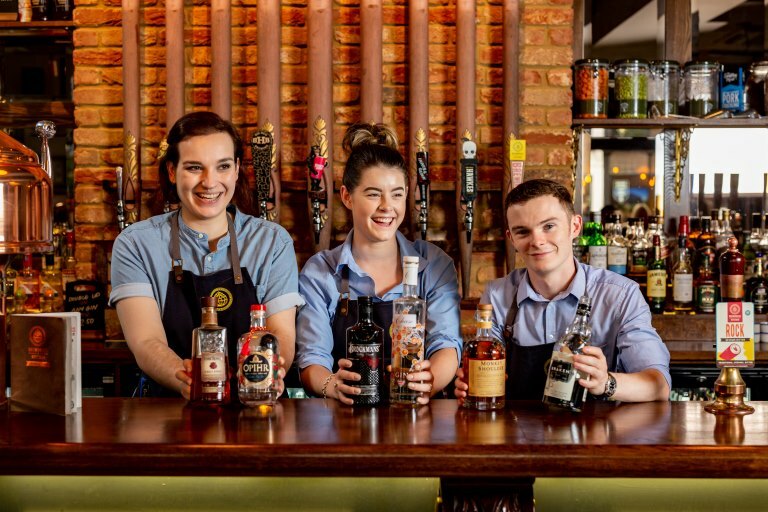 You will undertake foundation workshops in Customer Care, Wine, Beer and Cellar, Cocktails and Mixology and Barista skills. After completing these 5 workshops you will then go on to complete our own B&K specialist courses to master your knowledge even further. Brewers Academy. This program is an intensive 18 months of learning all there is to do with Brewing. After 6 months of the program we expect you to land your own brewery in the business. We have had much success with growing our brewers through this highly prestigious course. Don’t delay an application developing to be a brewer is your aspiration. We take in learners every 6 months at B&K. All of our apprenticeships are paid at as per the standard B&K rates. We do not pay the lower apprenticeship rates to our team. In return we ask our apprentices to give 100% to what they are learning and master their knowledge. We always aim to raise our game and beat our personal best. We may use the information to improve our products and services. We may periodically send promotional email about new products, special offers or other information which we think you may find interesting using the email address which you have provided. From time to time, we may also use your information to contact you for market research purposes. We may contact you by email, phone, fax or mail. We may use the information to customise the website according to your interests. All our communications will always have the option to remove yourself from our mailing lists or future correspondence. Our website may contain links to other websites of interest. However, once you have used these links to leave our site, you should note that we may not have any control over these other websites. Therefore, we cannot be responsible for the protection and privacy of any information which you provide whilst visiting such sites and such sites are not governed by this privacy statement. You should exercise caution and look at the privacy statement applicable to the website in question. Contacting us by email, phone or in writing you will be giving us some basic information. We will use this information so we can reply to you and keep you up to Date. Information held will be generated via our Phones, Email, Website and Booking Widgets to allow us to effectively communicate with you. If you visit the Brewhouse and Kitchen and log on to our wifi or use our Apps, we may, as a result, collect data about your device, the volume of data you use, the websites and applications which you access and your usage by access time, frequency and location. This information is used only to provide you with access to the wifi and any may be used with your consent for marketing or other purposes which will be clear when using the relevant service. If you would prefer your location not to be known, you can do this by altering your device’s settings. We collect CCTV information help our guests staff and guests enjoy and safe environment and to deter and detect crime and disorder which could lead for use with external parties to comply with our licensing conditions, council and police force or other statutory bodies. We will only retain your personal information for as long as necessary to fulfil the purposes we collected it for. We will decide this by considering what information we hold, the reasons we collected it and whether there are other means to achieve those purposes. We don’t share the information we collect with anybody else, except in the case of CCTV images and authorised partners in the facilitation of the services we provide. These may be shared with the subject themselves, the police force or other security organisations or statutory organisations. You are entitled to view, amend, or delete the personal information that we hold. Please email your request to our data protection officer. This can be done by contact central enquiries email: enquiries@brewhouseandkitchen.com In most cases, access is free although in some circumstances we are permitted to charge a reasonable fee to cover administrative costs. You may choose to restrict the collection or use of your personal information in the following ways: Whenever you are asked to fill in a form on the website, look for the box that you can click to indicate that you do not want the information to be used by anybody for direct marketing purposes if you have previously agreed to us using your personal information for direct marketing purposes, you may change your mind at any time by writing to or emailing us. We will not sell, distribute or lease your personal information to third parties unless we have your permission or are required by law to do so. We may use your personal information to send you promotional information about third parties which we think you may find interesting if you tell us that you wish this to happen. If you believe that any information we are holding on you is incorrect or incomplete, please write to or email us as soon as possible, at the above address. We will promptly correct any information found to be incorrect. You can unsubscribe from our database at any time by clicking the unsubscribe link at the bottom of any correspondence you receive.